Aerogels are some of the lightest solid materials on Earth, containing up to 99.98-percent of air. As part of a research last year, a team of ETH Zurich scientists developed a new type of porous gold foam that is as light as air and, even floats on cappuccino. The world’s lightest material, however, is graphene aerogel, weighing only 160 gm per cubic meter. What is more, researchers have recently found a way to produce the substance easily, via 3D printing. Aerogels, also known as “frozen smoke”, are synthetic substances that actually look like gas, and have nearly the same weight and density as gas. Formed by replacing the liquid constituent of a gel with gas, the resultant material is a translucent solid, with very low density and thermal conductivity. First created back in 1931, aerogels boast a number of impressive properties, including flexibility, compressibility and also the ability to absorb liquids like oil. Thanks to its unique features, aerogel is currently being researchers for a number of potential uses, including invisibility cloaks and environmental cleanup. One gram of the substance, for instance, is capable of soaking up around 900 times its weight, in terms of materials like oil. Although silica aerogel is the most commonly used type of aerogel, graphene aerogel is regarded as the lightest substance on Earth. It is nearly 7.5 times lighter than air, and more than 12-percent lighter than aerographite, which is currently the second lightest material in the whole world. Furthermore, it is 1,000 times less than water. 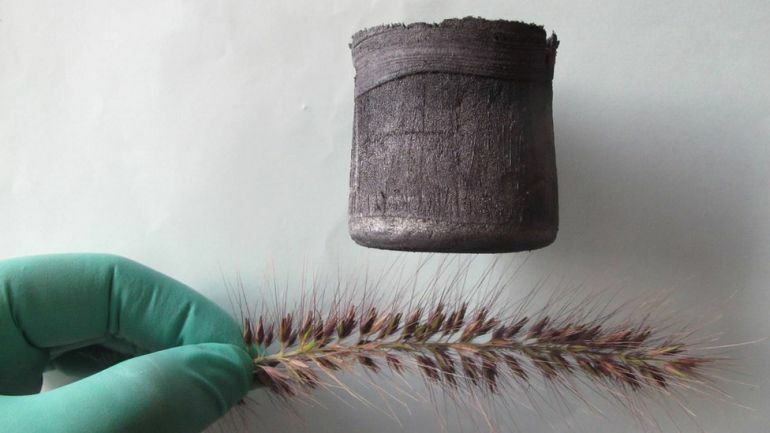 Indeed, it is so incredibly light that a cubic inch of graphene aerogel can be safely balanced on a dandelion seed head, a flower’s stamen or even a blade of grass. A one-atom-thick allotrope of carbon, graphene contains carbon atoms that arranged uniformly in hexagonal honeycomb lattice. Its aerogol, however, is made up of multiple, freeze-dry layers of graphene, placed one on top of the other to form a tightly-packed three-dimensional structure. Graphene is notoriously difficult to manipulate, but the structures we built show that it’s possible to control its shape in three-dimensional forms. 3D printing aerogol usually involves the addition of a special polymer to the core material so that it can be produced by means of an inkjet printer. Once the procedure is over, the polymer is removed from the original structure via a chemical process. 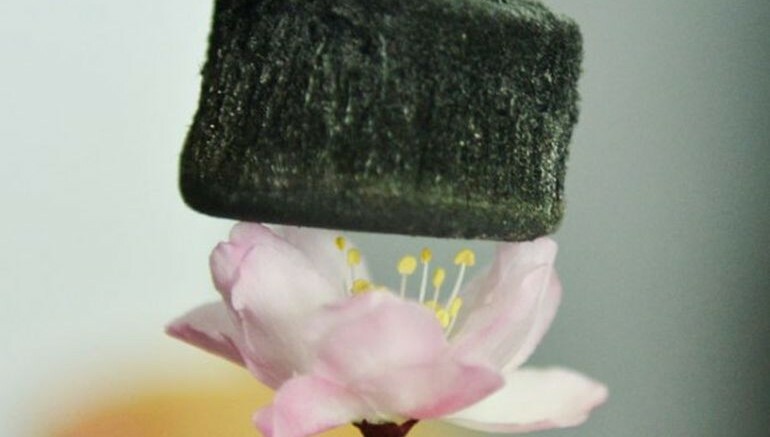 This technique, however, cannot be used in case of graphene aerogel, as addition of foreign substance tends to destroy its delicate structure. 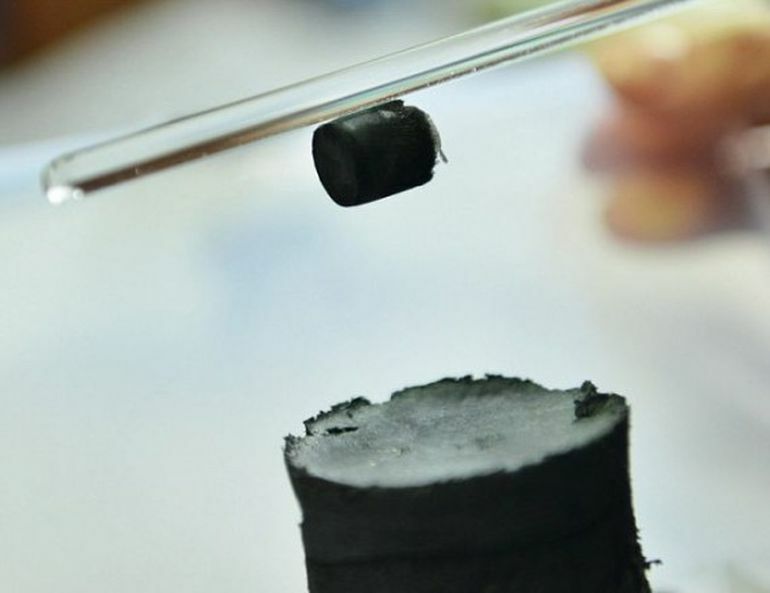 To 3D print graphene aerogel, the scientists therefore turned to graphene oxide, which was then mixed with water. The resultant mixture was laid out over a flat surface and cooled to around -25 degree Celsius. This in turn allowed the researchers to freeze the constituent graphene layers, thereby creating a three-dimensional aerogel structure held together by means of ice scaffolds. After the completion of the process, the water in the scaffolds was removed by freeze-drying with liquid nitrogen.